You’re perfectly safe in our harnesses at any angle! This is the most important gear we use. We designed it, over many years and many improvements to tremendously high standards of safety and comfort. We can stay up as long as it takes to do the job. And we can move like monkeys. You will have to go up at some point – to do a job, save the day, adjust for a winning edge or just for the view. Get the best gear you can (from us, of course!). Read up, go up often and early, and be safe. Safe and fully equipped for working aloft. Our climbing harness is the result of decades of experience aloft. 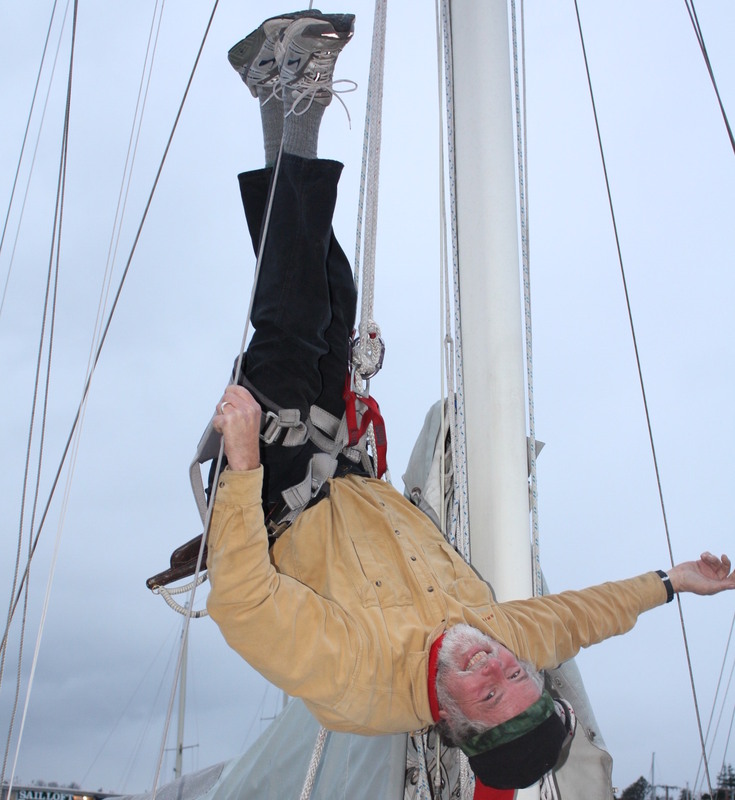 We wanted to be able to move freely, to get to spreader ends, around the mast, and right up to the masthead, so we developed a harness design that allowed that. We wanted absolute security, and that same design produced a harness that, properly fitted, you cannot fall out of, even if you are – heavens forbid – upside down. And we wanted comfort, or at least to avoid the pain we have experienced in other harnesses and chairs, so our harness has a massive waist band and long, wide leg pads. And finally, we wanted a harness that was maximally versatile, so we added a safety tether, rack loops, belts for sheath tools, and a multi-pocket pouch, and other features, so you can bring the tools and materials you need with you, and secure yourself anywhere in the rig to do your work. The result is a harness that is the top pick for professionals, amateurs, and not incidentally Practical Sailor magazine. When you go aloft, go aloft with us. Although I carry basic gear on harness – knife, spike, carabiners, soft shackles, etc. – working aloft typically involves a variety of tools and materials. 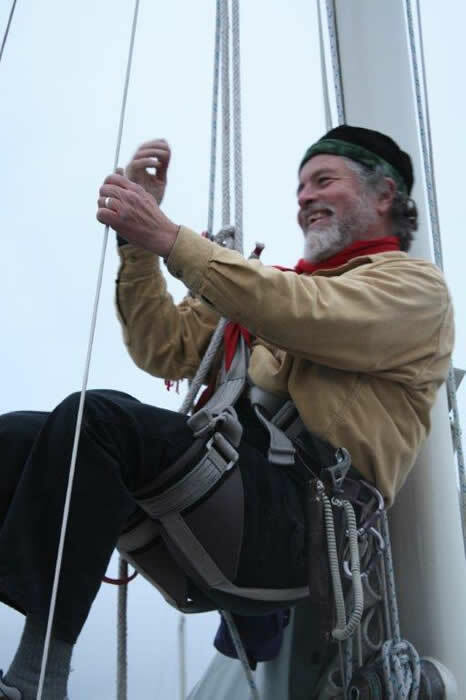 In olden days I would send a rigging bucket aloft, but that is awkward and bulky, and small items tended to get lost in the bottom of the bucket. So I adapted an old fishing vest, and now I never go aloft without it. There is a pocket for a compact ratcheting screwdriver, and every possible bit, a pocket for our Rigger’s Pliers, Tef-Gel, Rigger’s Tape, caliper gauge, LocTite, One-Drop, tape measure, and lots of other tools and supplies, all easy to find and use. I put a Gear Keeper on anything that could do damage if it landed on someone, just as I would with a rigging bucket. But unlike the bucket, the vest lanyards are widely scattered, so they don’t get tangled with one another. I still keep a large canvas rigging bucket handy, for particularly large/complex jobs, but the vest is our most valuable aloft accessory. 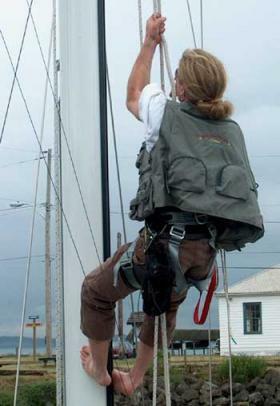 Our harnesses are very heavily-padded mountaineer-style harness that we’ve designed for the demands of yacht rigging. Imagine a climbing harness that lets you get higher on the mast, is impossible to fall out of, and allows utter freedom of movement. and, the Rigger’s multi-pocket Tool Pouch, for cotter pins, small tools, tape and other incidentals. Small fits smaller folks with a 24-30 inch waist. Measure just about the hip bones. We don’t make a large–if your waist line is over 42 inches, think about staying on deck! Our cruiser’s harness has all the same great features of the bosun’s harness, but the fittings are all stainless steel for improved strength and durability over the long haul! The same tool pouch we include with our Bosun’s AND Cruiser’s Harness. This handy little bag works wonderfully for working aloft or any time your working with small parts or tools too important to lose over the rail. 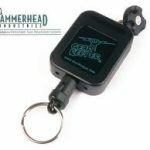 This ingenious device is attached to all of our rigging vests as lanyards to just about anything! 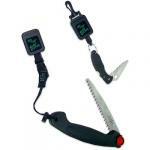 and most importantly – keeps your tools attached to you – handy and safe. We love these and use them all the time! 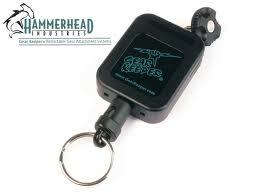 The triple locking pear-shaped carabiner is a must-have item on any cruising vessel. 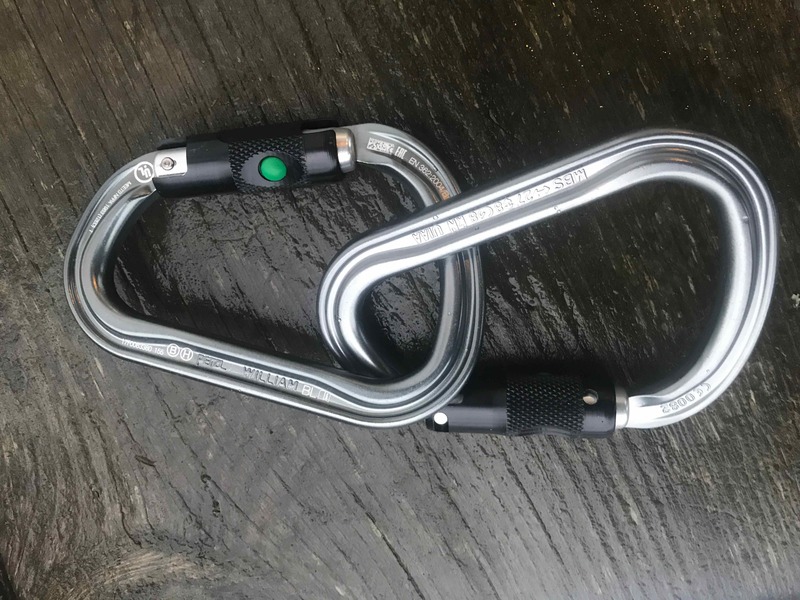 Combined with the carabiner hitch, detailed in Chapman’s Guide to Knots (written by Brion), it is a life saving item when working aloft. These jaws open wider than most and with a little practice you can open it easily with one hand. 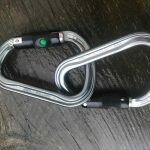 The carabiner is manufactured by Petzl, is individually tested, and comes with a three year guarantee. Brion’s best known book is considered the standard text on yacht rigging procedures and serve’s as your entry point for learning everything you need to know about going aloft. You can find everything from block selection to rig tuning to basic knots. 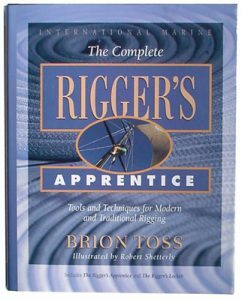 Plus everything you need to know to make your rig work. People tend to be either nonchalant about working aloft, or terrified of it. 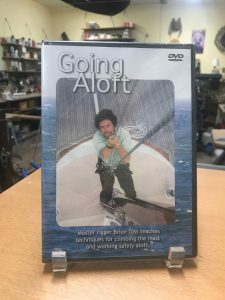 This dvd lays down safety procedures – some obvious – once stated, some subtle – to make leaving the deck a safer, easier exercise. See the 3- and 4-Set dvd Specials for SUPER SAVINGS!